My friends give me a hard time because I don't keep up much on popular culture. I can't tell one Kardashian from another and quite frankly, I don't care. Food nerd that I am, my kind of celebrity is of the chef variety. In December I ate at The Bazaar, José Andrés' fabulous restaurant in LA. 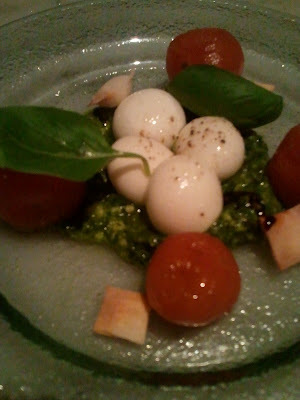 One of the more memorable meals I've ever eaten. There are no words for the perfect bite of the Not your everyday Caprésé salad - you really need to experience it. 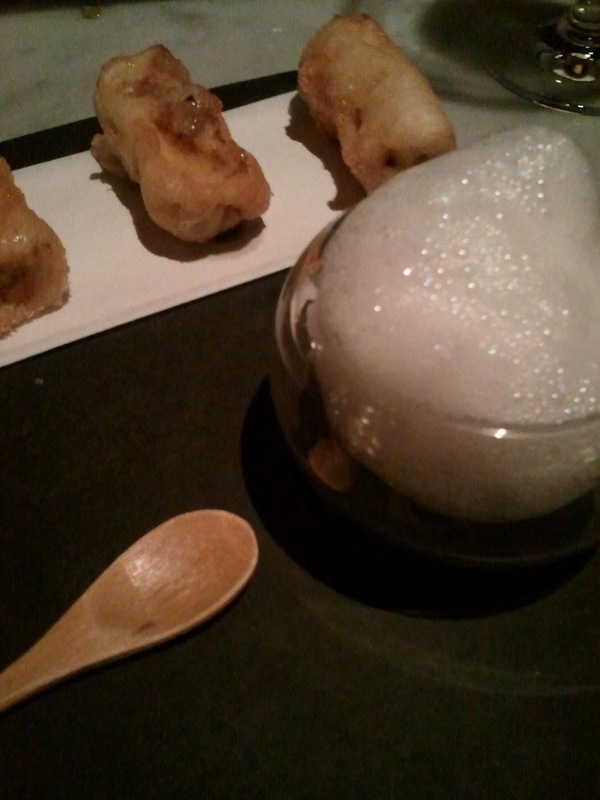 And the Eggplant tempura with honey yogurt foam was a delicious surprise. But I have to say the real highlight of the night was seeing José Andrés in the restaurant. If I could (if I had the guts) I would have asked to take a picture with him. I don't think my dining companion really understood my excitement but that's okay. In a city full of celebrities, I saw the one that really mattered to me.